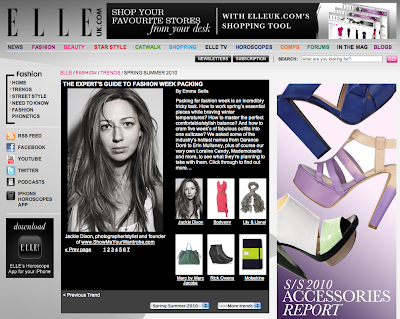 SHOW ME YOUR WARDROBE.COM: Thank you for the lovely mention on elleuk.com, featured as an "expert" - ohh la la! Thank you for the lovely mention on elleuk.com, featured as an "expert" - ohh la la! my friends are always asking me: "Why aren't you on it? myself be more brave, or to put it a better way, less of a wimp. Kicking off with a lovely little feature on elleuk.com.